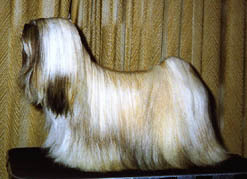 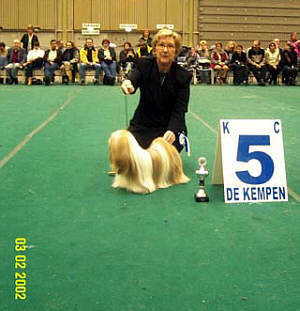 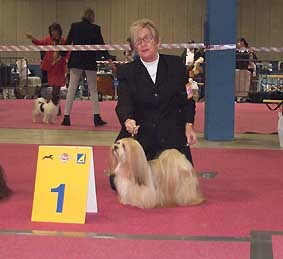 BEST IN SHOWS IN ENGLAND, HOLLAND AND BELGIUM. 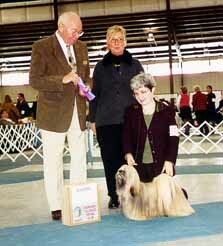 FATHER OF MANY EL MINJA'S CHAMPIONS, AND FOREIGN KENNELS. 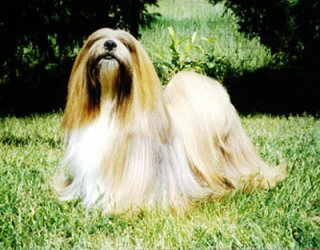 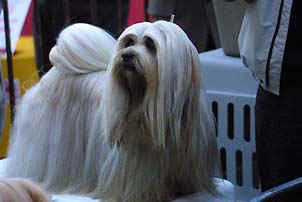 same foto as used for the cover of the American Lhasa Apso Club! 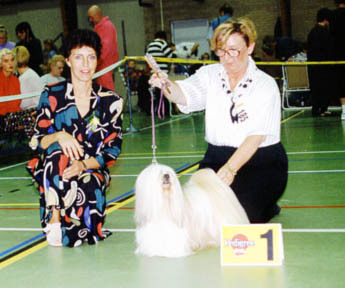 On the foto Judge David Green,breeder Sylvia, Fran strayer and "Walker"
these pages are under developtment !